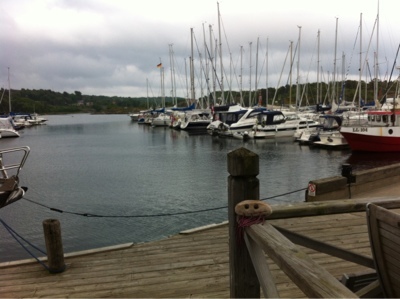 I know Riki isn't used to the ocean, so it's lucky there's a lot of coastline to visit in Sweden. For the first part of our summer vacation we went to the west coast (the only one with real ocean according to my husband). The weather was so-so, but she did see some water that didn't rain down too... She checked out a small light house near the boat club where my parents in law keep their boat. Due to the weather and hubby's tendency for seasickness, we never took the boat out. 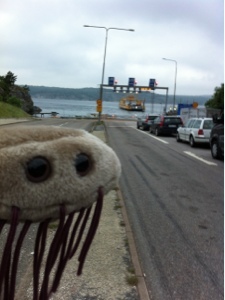 Riki did get to travel by ferry, however. 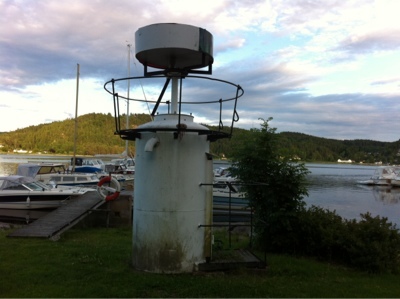 Many of the pictures are from a trip to a small coastal village called Fiskebäckskil. We had a delicious meal and watched the plethora of sailboats just outside the restaurant. 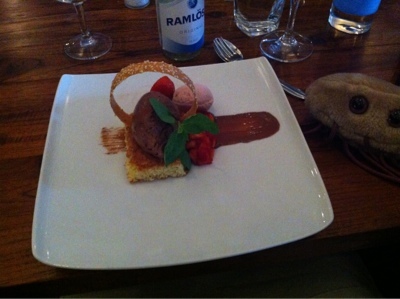 I usually don't take photos of food, but the dessert was very pretty so I had to ;) On the way back we took the ferry to the bigger village Lysekil and drove home that way. 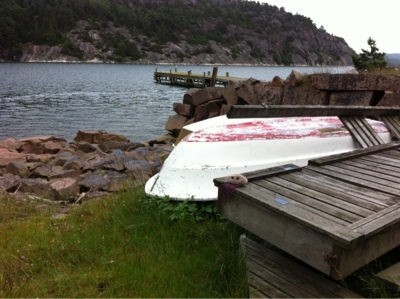 There are lots of fjords along the coast of Bohuslän. This is the view from a cache we searched for.